Home / How to Unlock T-Mobile 4G Z64 Hotspot Router? / How to Unlock T-Mobile 4G Z64 Hotspot Router? How to Unlock T-Mobile 4G Z64 Hotspot Router? 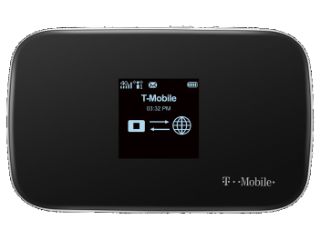 by Sunil Jadhavar on March 01, 2017 in How to Unlock T-Mobile 4G Z64 Hotspot Router? T-Mobile Z64 is a 4G LTE supported router.It is re-branded from ZTE MF64 and supports the internet up to 8 Wi-Fi-enabled devices.It has 1.4″ OLED LCD screen. Further, this modem features 256MHz MDM8200A processor. Factory unlock code of T-Mobile Z64 is now also available.If your Z64 is locked to a particular carrier,then you can not use it with other SIM card. Once the device is unlocked, you are free to choose any carrier. Switch Off the T-Mobile Z64 WiFi router. Now connect the T-Mobile Z64 to PC using USB cable. Browse for its default IP address (192.168.x.x). It will open an NCK page. Enter here 16 characters/digits unlock code. Now your T-Mobile Z64 ZTE router is unlocked forever. Note: SIMlock code of T-Mobile Z64 is NCK Code. Tags # How to Unlock T-Mobile 4G Z64 Hotspot Router? Labels: How to Unlock T-Mobile 4G Z64 Hotspot Router?